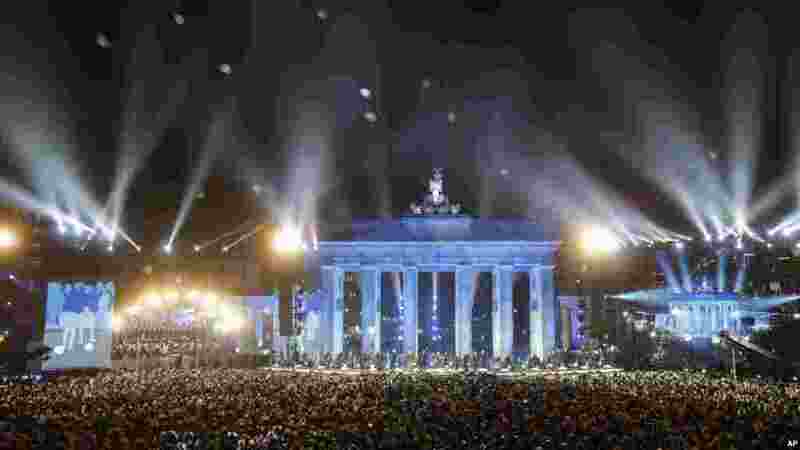 1 Balloons of the art installation "Lichtgrenze 2014" fly away in front of Brandenburg Gate during the central event commemorating the fall of the Wall in Berlin, Germany, Nov. 9, 2014. 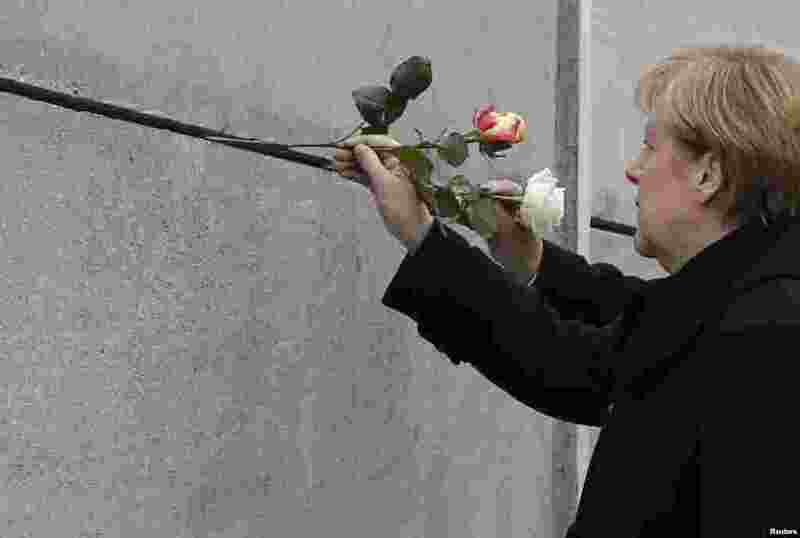 2 German Chancellor Angela Merkel places a rose at the Berlin Wall memorial in Bernauer Strasse, during a ceremony marking the 25th anniversary of the fall of the Berlin Wall, Berlin, Germany. 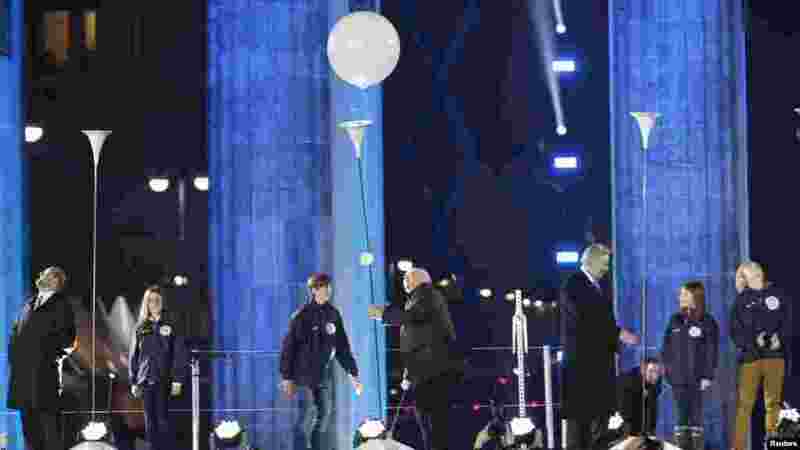 3 Former Soviet President Mikhail Gorbachev, center, releases a balloon from the installation "Lichtgrenze" (Border of Light) in front of the Brandenburg Gate in Berlin, Nov. 9, 2014. 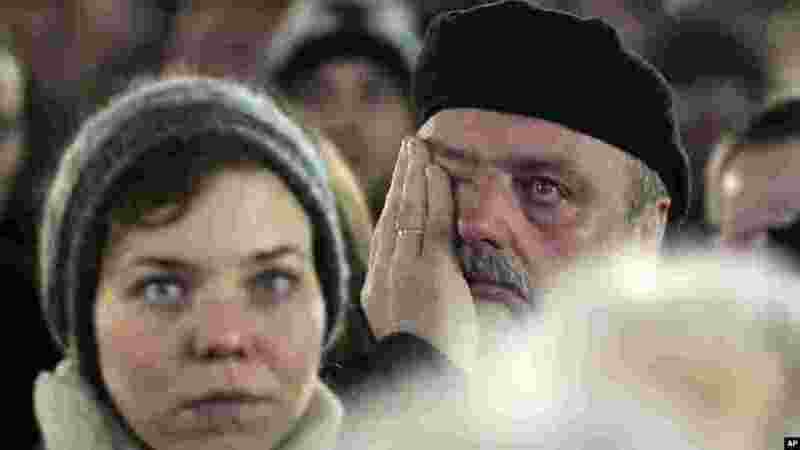 4 A man wipes his eyes as he attends the central event to commemorate the Fall of the Wall at the Brandenburg Gate in Berlin, Germany, Nov. 9, 2014.